Raffle Drums are great for Tradeshow drawings directing traffic to your booth. Great for Parties, Raffles, Drawings, Concerts. 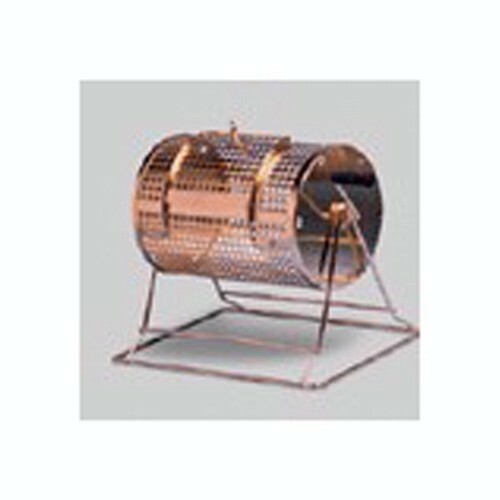 This brass plated Raffle Drum holds more than 2000 roll tickets. It is weighted so that the slot always is on the top and is made so that a small padlock can keep the access door secure. (Padlock not included) Each raffle drum comes with rubber feet and a wooden handle. 11.5"L x 8"w x 11"h with stand.